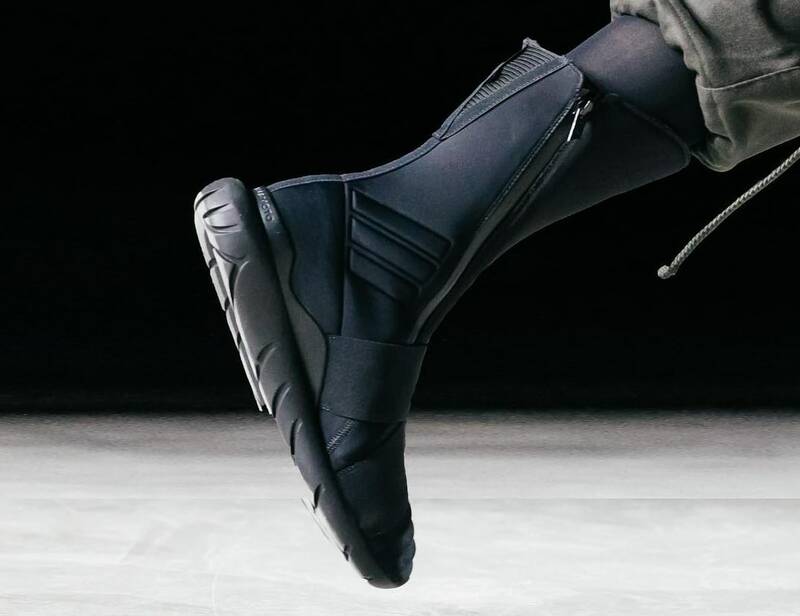 More dark designs from Y-3's latest show. While white Boost cushioning is still the norm on Adidas sneakers with that technology, the brand is getting more prolific with its application of colored Boost. 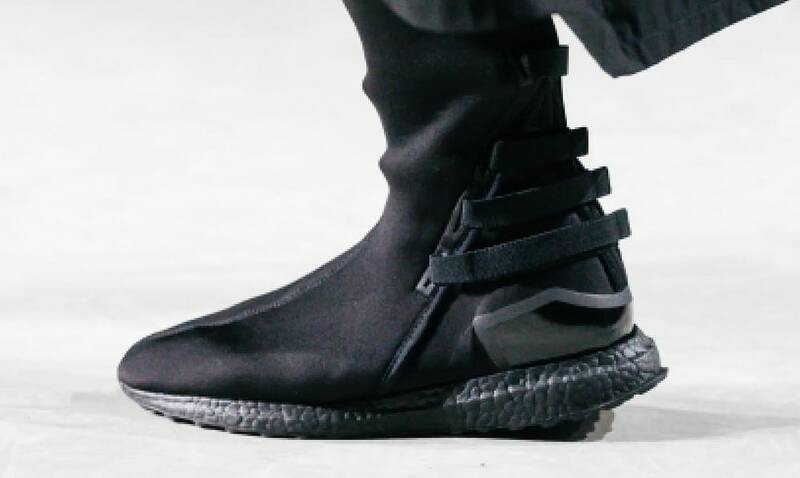 Adidas Y-3's Instagram account posted a handful of upcoming styles from the sub-label this weekend featuring 'Triple Black" colorways all the way down to the Boost. The group consists of the Zazu High, Qasa Elite Boot, Pure Boost, and Mira sneakers. 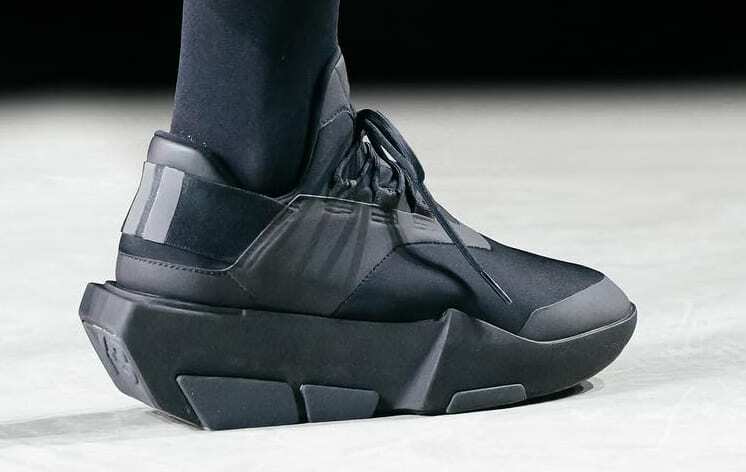 These "Triple Black" Adidas sneakers were shown at Y-3's recent Fall/Winter 2017-18 show in Paris, so they won't be hitting retail for some time.